Some of us like golf and some of us like wine and some of us like both. 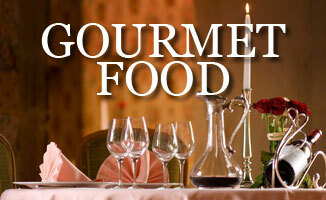 If you then add a touch of romance, luxurious surroundings, history, culture, gourmet food and a championship golf course, the menu is very nearly complete. When you think of France you think of great food and great wine you don’t always think of great golf courses, maybe a dash across the Channel to the superb courses at Hardelot, Le Touquet or St Omer but most haven’t sampled the delights of just a little bit further afield in the heart of France. Ian Duncan, Managing Director of the golf club website www.club-noticeboard.co.uk was sitting at home watching Strictly Come Dancing on a Saturday night in November, please don’t tell my mates about that he asks, when he received an email on his Blackberry from Philippe, a French businessman he had met whilst in China in 2004. Philippe had just been appointed as Commercial Director of Chateau de Chailly a 16th century chateau and Championship golf course in Burgundy and having used Ian’s websites with his previous businesses was keen to get together again, “Do you want to meet in London or Bourgogne?”, he asked? Ian & his wife and fellow Director Alison have a house in the mountains of the Morvan Natural Park about 50 minutes from the chateau and were due to be in France the following week so it was no choice really. They arrived at the chateau for a meeting with Philippe Lapique and his colleague Alexandra Degoix and were taken on a tour of the magnificent chateau and golf course, accompanied by their dog, Poppy. The great thing about the French is that they do love their dogs and they are welcome to stay with you at the chateau for a small surcharge. The Chateau is situated about 2 and a half hours south of Paris just off of the A6 at Chailly sur Armancon. 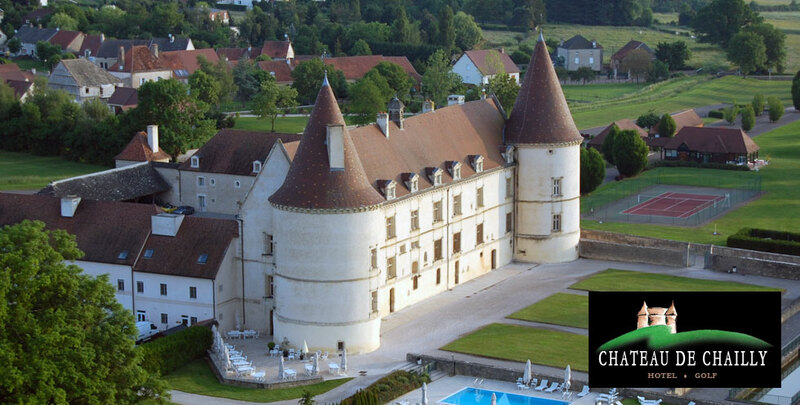 The Chateau de Chailly golf hotel has the authentic charm of an old 16th century chateau; classed as an"Historical Monument", it was expertly restored to become one of the most prestigious chateau hotels in Burgundy. 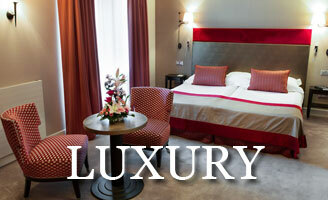 It offers its guests a high class quality of modern comfort in traditionally French surroundings. It is In the heart of Burgundy, 30 minutes from Dijon and Beaune, 2 hours from Lyon and 2 and a half hours from Paris and Geneva. Our opinion is that it is best reached by car but there is a regular TGV service from Paris CDG. From Calais the trip by car on the Auto Route is about 5 and half hours. We would suggest that if you want to break up the journey avoid Paris and visit the famous Champagne region around Epernay and Reims on your way down. 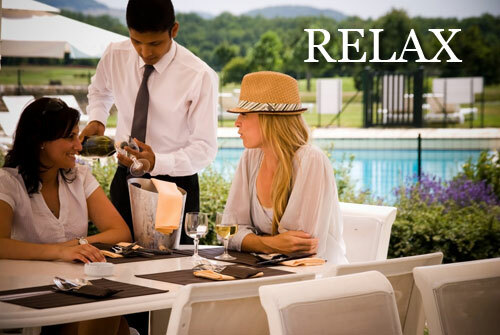 It is also an ideal half way stop over if you are travelling on to Provence and the Mediterranean. There are 45 air-conditioned rooms and suites, 2 restaurants and a terrace, a bar, a heated outdoor swimming pool, tennis court, relaxation area with Jacuzzi and Hammam, a billiard room, 6 meeting, wedding and function rooms and the superb 18-hole golf course. 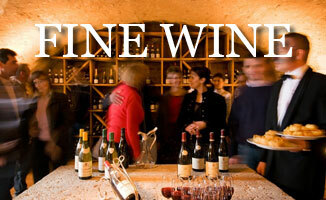 As you would expect it has a wonderful wine cellar and even has its own Heli-pad for those on a flying visit. 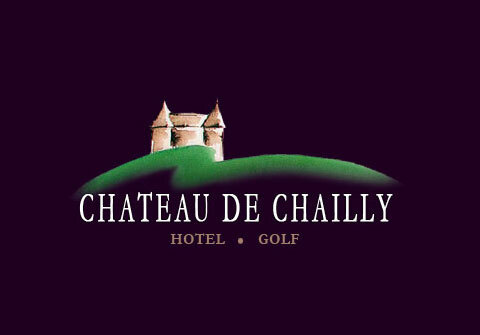 Club Noticeboard & Chateau Chailly have now formed a partnership to promote the facility in the UK. Ian says “I have this idea that the Chateau Chailly experience is ideal for the mixed sections in our golf clubs and I want to create various competitions for couples who wish to experience this fabulous venue situated in the most famous wine region of France”. This really is a cool place to visit, the green fees in France are really reasonable and we do have some really special packages for 3 days and 6 days for 2013. The one thing that you can expect is a great experience. If there is a group at your club that are interested in playing golf in the heart of France please contact Ian by email to ian@club-noticeboard.co.uk or telephone 01359 244537. 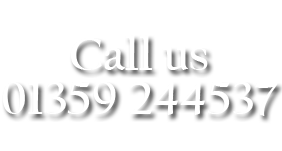 Please call us for special deals for Groups, Societies and Romantic Mixed Golf packages.